Based on egregs answer to "Breakable vboxes" I coded the following environment. It collects its vertical input and then breaks it using plainTeX's internal breaking mechanism (\vsplit) and places both part in an \fbox. 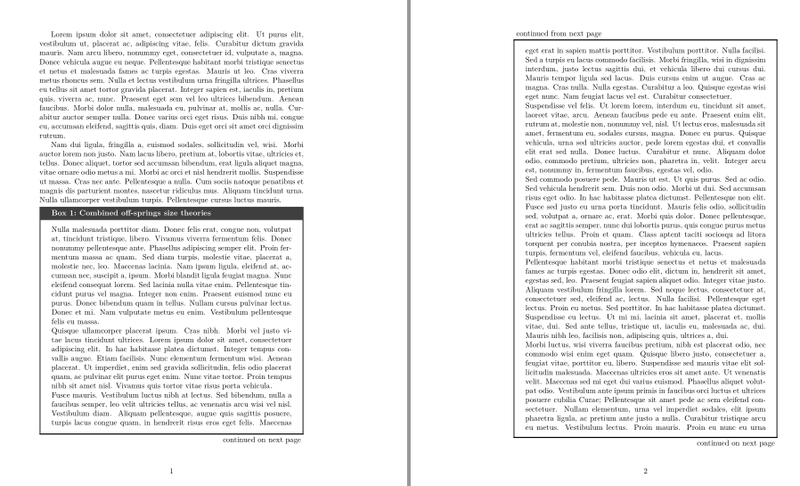 This will not work for large material which break across three pages, but this feature could be added. Another solution with tcolorbox package. 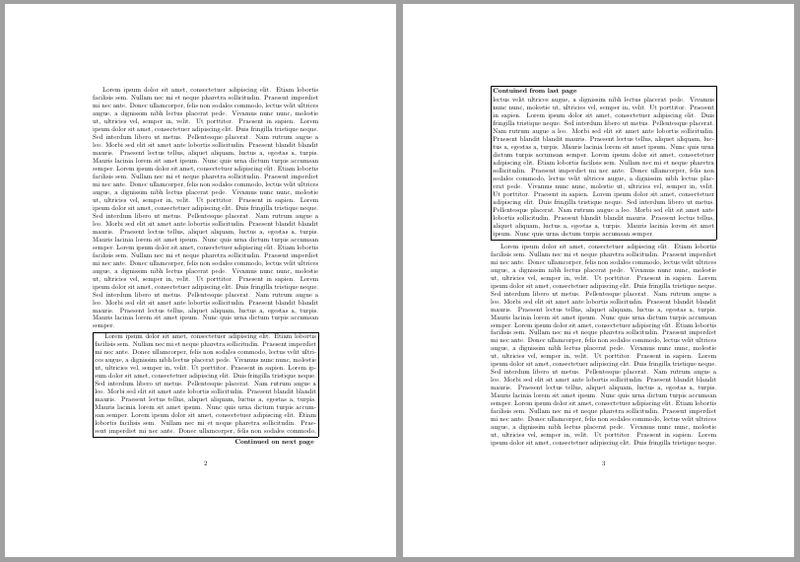 The continue package prints "continuation" marks on pages of multipage documents. The marks can be defined as you wish and started and stopped at any point. To read the manual > texdoc continue. Not the answer you're looking for? Browse other questions tagged page-breaking boxes framed or ask your own question. How do I make a framed coffin with correct alignment? Boxed text inside tcolorbox tcblisting?